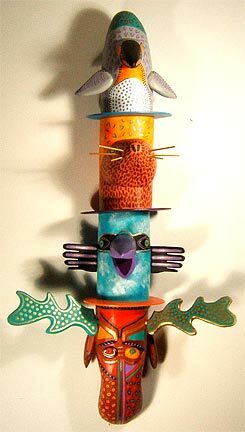 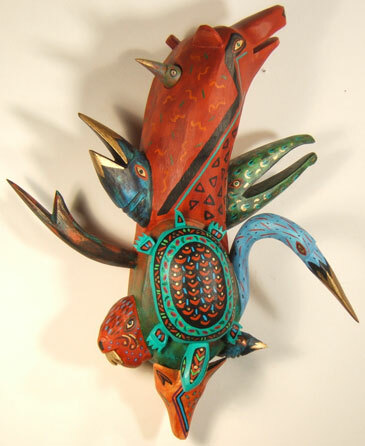 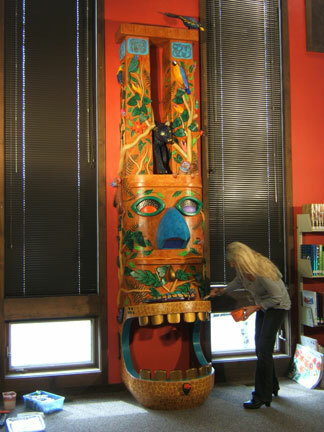 A piece commissioned by the Pearson family, this totem entitled "Ancient Tales" now resides in the childrens section of the wonderful Ketchum Community Library. 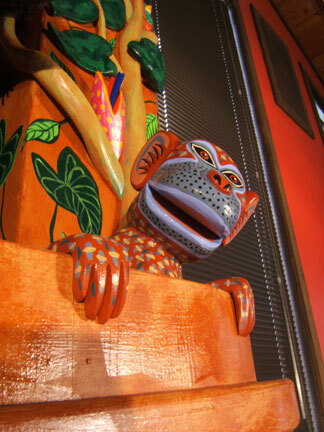 Carved and constructed of pine and fir, it represents a jungle ruin and some of the wildlife therein. 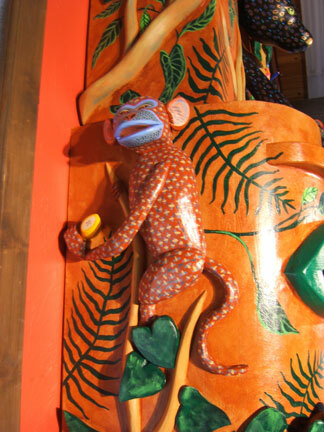 Monkeys frolic, a panther peers out and birds of all types populate the place. 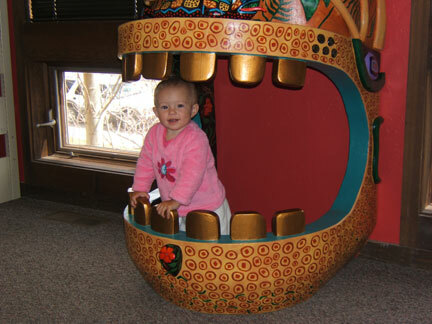 At the base of the totem is a jaguar head whose open mouth is a playspace for small kids. 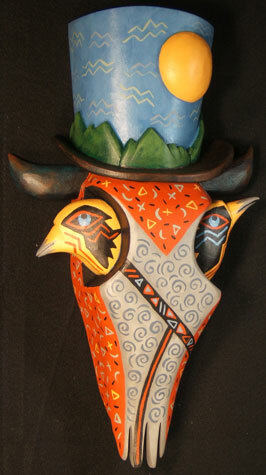 The whole is painted by Mary Dee in vibrant acrylic colors.